A biographical war-drama, Patton follows U.S. General George S. Patton during World War II. The film explores his accomplishments as well as his faults. 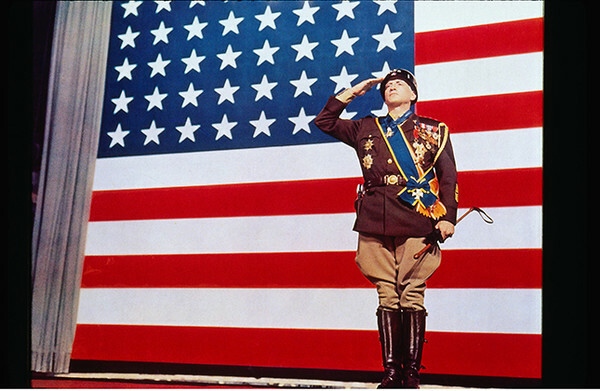 The opening scene where Patton delivers a monolog in front of a massive American flag has become a hugely iconic scene in American cinema. The film won seven Academy Awards, including George C. Scott for Best Actor, though he refused the award based on his belief that dramatic performances should not be compared one another.